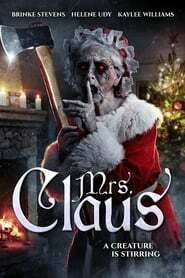 Students attending a Christmas party at a sorority house with a sinister past are stalked by a bloodthirsty killer disguised as Mrs. Claus. Two young boys playing in the woods discover the entrance to a military bunker undetected since World War II. On Halloween night at a horror theme park, a costumed killer begins slaying innocent patrons who believe that it’s all part of the festivities. Two brothers, reunited for their father’s funeral, stumble upon the entrance to a nearby cave, where they are slowly forced to confront the true, nightmarish cause of their father’s death….